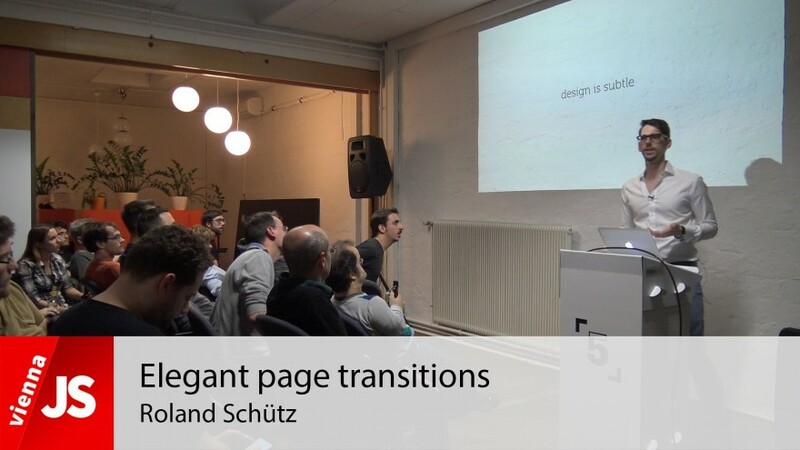 Roland gives a small talk explaining the reasons why you should care about page transitions and what you can do. 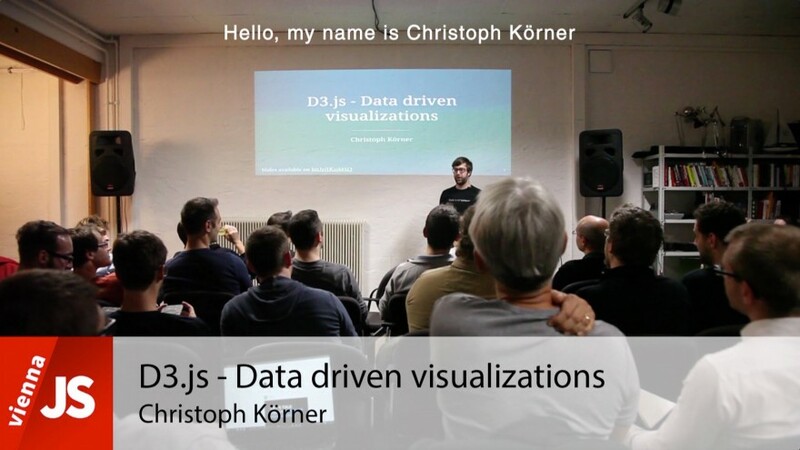 After explaining the main principles of D3 (Data transformations, Data joins, Update pattern), Christoph will focus on visualizations (Charts, Graphics, Games, etc.) with D3 (Drawing Shapes, Paths, Axis, Transitions, etc.). In the end, you will see some demos and real life examples. 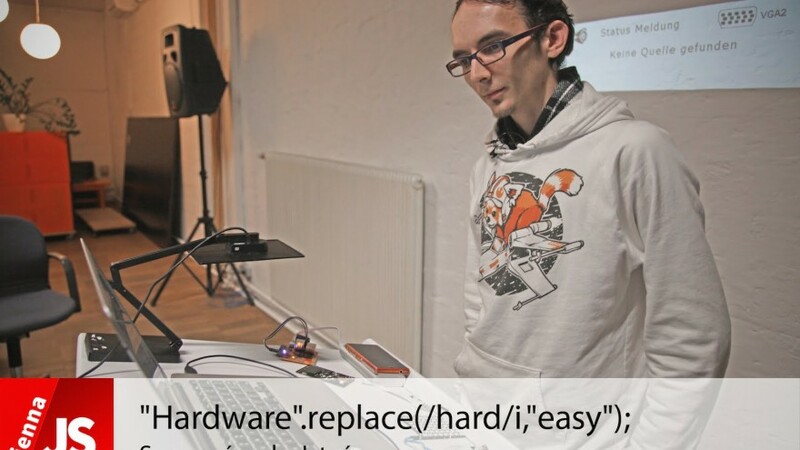 This great talk was held by Christoph Körner at the monthly ViennaJS meetup in Vienna. An introduction and status-quo summary for backend web developers. 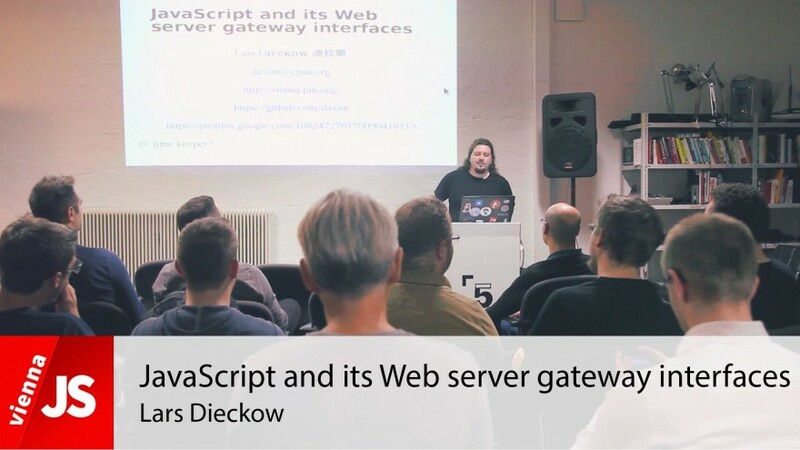 This great talk was held by Lars Dieckow at the monthly ViennaJS meetup in Vienna.